“An armchair is quite a difficult object. A skyscraper is almost simpler”. These are the words that master Mies Van der Rohe said long ago in february of 1957. How to disagree with him? After all, no one expects perfection from a skyscraper, as long as it is aesthetically beautiful and functional. You don’t sit on a skyscraper when you come back tired from work. It is not expected from a skyscraper to help us relax and give us comfort. Used as an object of relaxation, an armchair has the task of making us feel at ease (at least from Freud onwards), which is why it should be a perfect object. But not only is it obliged to welcome us at the end of a long day and to give us the necessary commodity. This object is attributed to the difficult task of creating an ambiance, setting a tone to the living room in which it’s situated and to create inebriating emotions by just looking at it. Below we present you with some of the design armchairs that have made this product’s history, influencing the common imagination and setting the bar higher for the comfort and luxury standards. LC4 (1928) Le Corbusier, Pierre Jeanneret, Charlote Perriand - A symbol of the chaise lounge, also known as “relaxing machine”, an epithet that gives a good idea of the comfort provided by this product. An absolute icon born from casual inspiration during a relaxing break in which Charlotte Perriand has been immortalized in a picture resting over it’s structure: An archetype that the mind of the designer geniously transformed into the most famous armchair of all time. Essential, functional. almost extreme in it’s simplicity, the LC4 leans in a simple and ergonomic system. A cradle of steel held by a pedestal of the same material and a mat with a cylindric headrest: a few simple and precise features which would change the concept of an armchair forever. 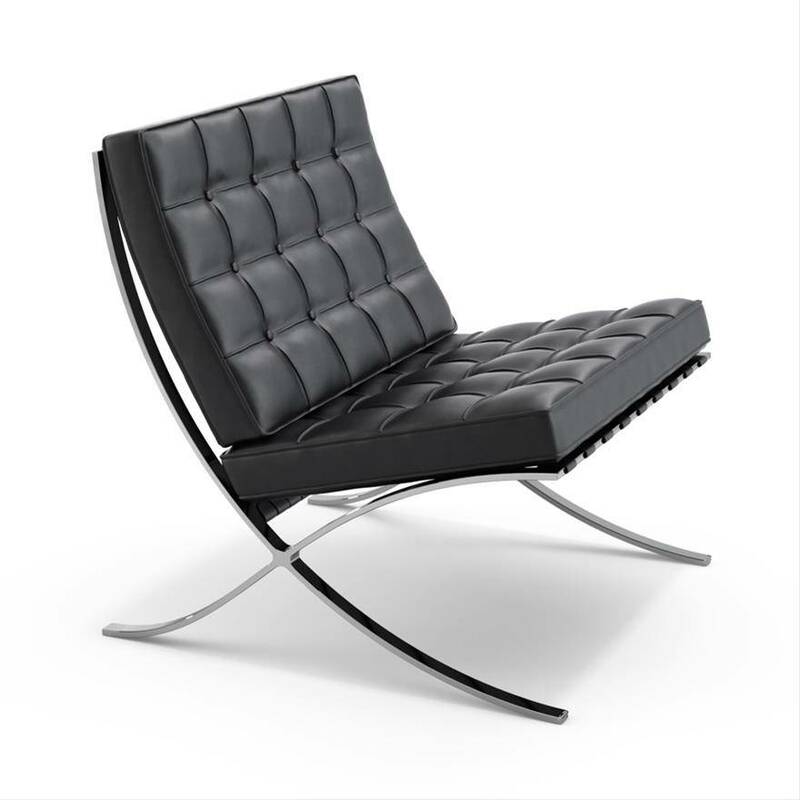 Armchair Barcelona (1929), Ludwig Mies van der Rohe – this piece of design was presented for the first time at the Barcelona International Exposition in 1929. In it’s simplicity and elegance can bee seen the incarnation of the german architect’s motto “Less is more”. This armchair was made for none other than the King and Queen of Spain, who would come to visit the german pavilion (completely designed by the same architect). Van der Rohe reaches with this product a new level of grace never reached before, inspired by the furnishing objects from the ancient Rome. The material that composes it is steel and a cushion with a leather quilt composed of 40 squares, cut and sewn by hand, all of them of different dimensions and coming from the same piece of leather. 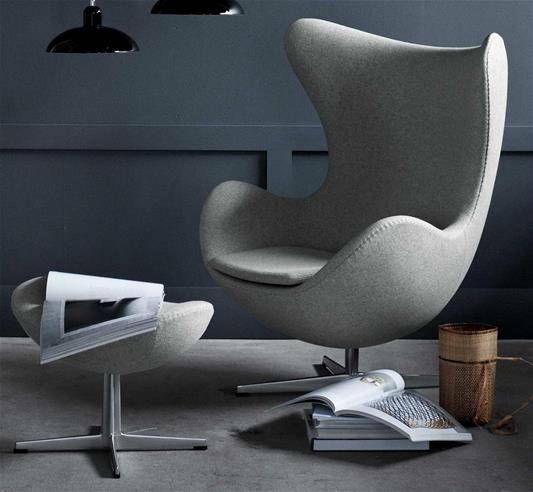 Egg Chair (1958), Arne Jacobsen – Conceived to furnish the lobby rooms from the SAS Royal Hotel of Copenhagen, this chair draws inspiration from the shape of an egg shell (as reminded by it’s name). A kind of second skin, which covers the human being, protecting him from the indiscreet looks and guaranteeing a high level of relax and privacy. 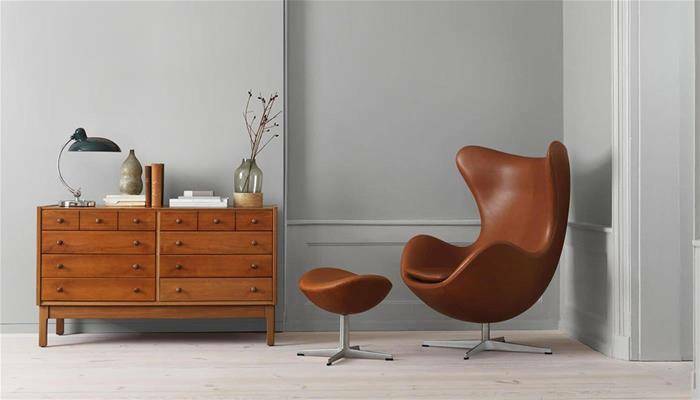 After 50 years from it’s birth, the Egg Chair still preserves its cosmopolitan, sophisticated and avant-garde appeal that makes it one of the most demanded design chairs in the world. Husk (2011), Patricia Urquiola – “Who sees an armchair must perceive with the eyes a sense of mental comfort and not just a physical one”, starting from this philosophy from the Spanish designer it doesn’t come as a surprise that after looking at the Husk armchair for the first time comes an irresistible urge to lay down and let yourself be carried away from your own thoughts. 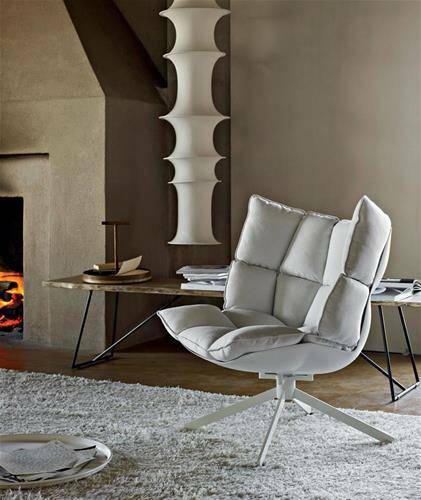 A strong spirited armchair, capable of cohabiting with the most diverse styles. A hybrid that combines in itself class and modernity, this is the armchair created by designer Patricia Urquiola. Aside from the comfort and the esthetic values, high sustainability materials are of primary importance: a shell in Hirek (plastic made of recycled and recyclable polymers) and a unique cushion that offers maximum ergonomics. The product is also customizable according to each person’s demands: for outdoor or indoor usage, a variety of cushion dimensions (from standard to big), the possibility to add a headrest and a footrest.